From the time she was born, Zira has been a natural in front of the camera. 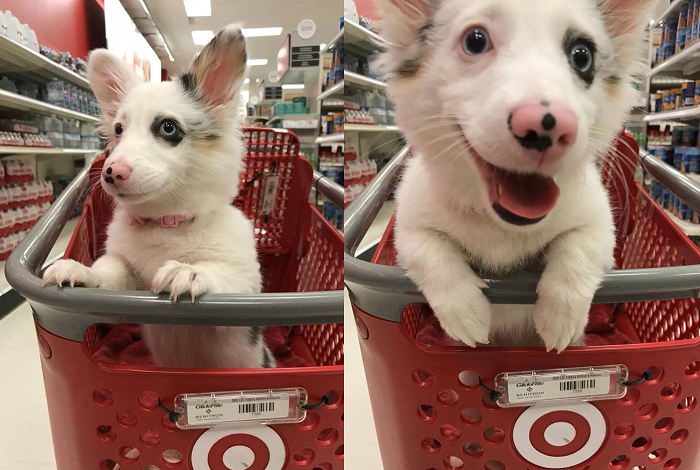 Her human loved to snap photos of the enthusiastic Corgi/Aussie mix, and as Zira grew from puppy to pup, she began to go along on her human’s many adventures! The store was no exception. A few people thought that Zira should never have been allowed into the store! Since Zira isn’t a registered therapy dog, they thought that bringing an animal to the store was a health hazard and wasn’t considerate to other shoppers. …That didn’t stop her from being extremely adorable! Zira’s human bought her a new toy, some delicious treats, and ended up leaving the store with several new fans! 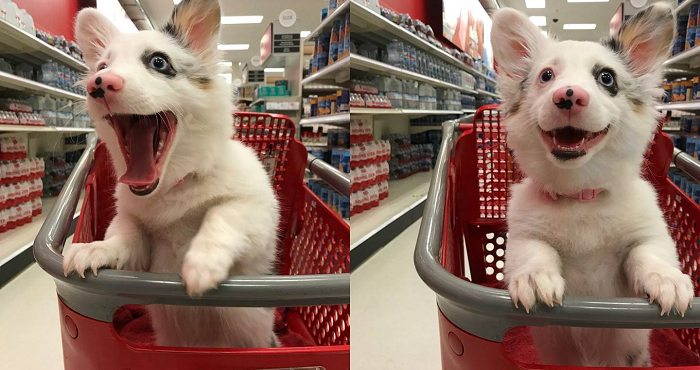 One woman stopped her shopping trip to snuggle and pet cute little Zira, making her day in just one moment. The 4-month-old pup still has a bit of growing to do, but she hopes to spread love and kindness everywhere that she goes!